This time another set of dictionaries was in line for the update. With the release 4.9.3, the British English, French and German dictionaries have been augmented with more than 240,000 new modern words and terms. Whenever we announce the dictionaries enhancements, be sure the accuracy of spell checking and relevance of the proposed corrections have become even better. 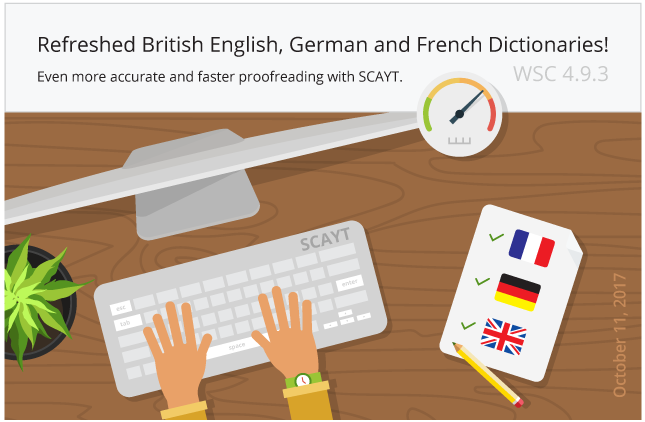 If British English, French or German is one of your default languages for spell checking, we strongly recommend you to consider the upgrade of the WebSpellChecker application on your servers to 4.9.3. 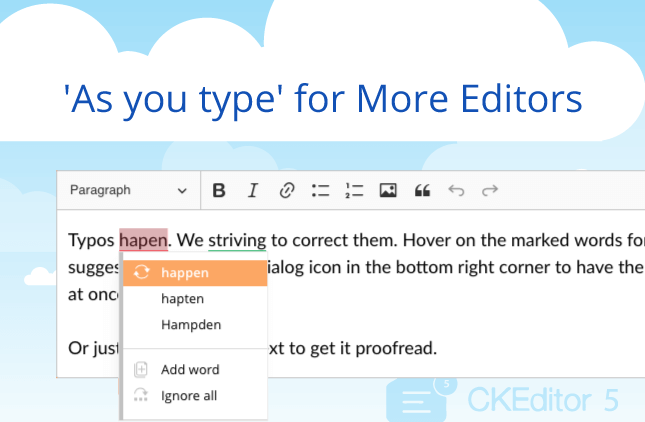 The Cloud version of the WebSpellChecker application is updated automatically. 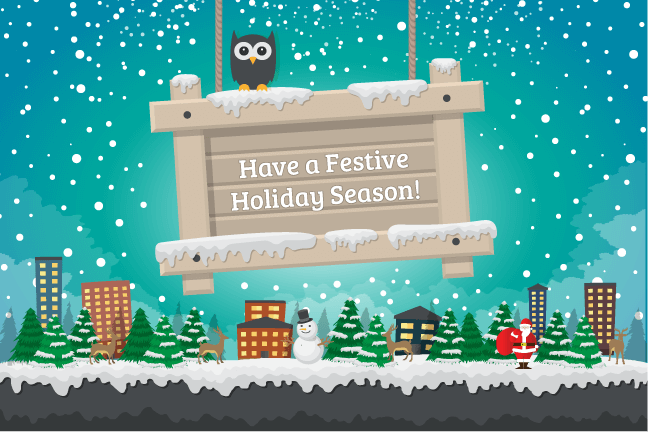 Thus, all the enhancements or fixes will be applied at once and you don’t need to worry about the upgrade. The keyboard accessibility is one of the most important aspects of web accessibility. We are striving to conform to the core principles of Web Content Accessibility Guidelines (WCAG) 2.0. Now all the SCAYT user interface components and navigation are easily operable and available from a keyboard. Escape – close the current modal dialog or drop down menu and return focus to the element that spawned it. To improve the application performance might seem to be just a piece of cake. Our team also thought that it was so but eventually it took us about three months to make it work properly. The latest load and performance testing results showed that now the WebSpellChecker application processes the same number of requests 20% faster than the previous version 4.9.2 and lower. From the technical perspective to get the performance benefits we replaced the older Common Gateway Interface (CGI), an interface between the web page or browser and the web server that runs the application, with newer and faster – FastCGI. Unlike CGI, FastCGI allows managing multiple CGI requests within a single process without creating a separate process for each request. Just a teeny-tiny update in the default configuration improved SCAYT accuracy. Now it won’t miss three-letter words which might be misspelled. 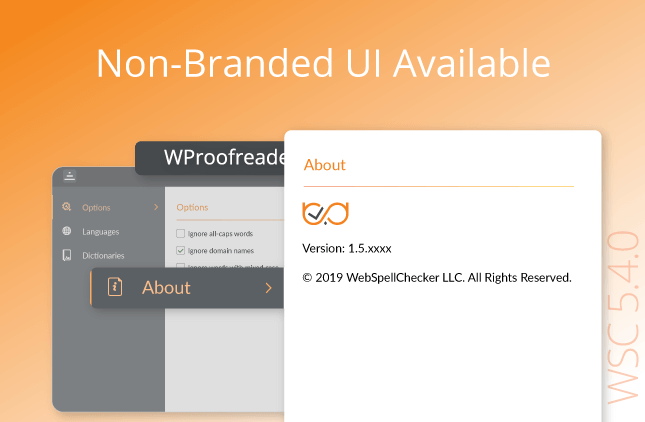 Reach us at support@webspellchecker.net to find out more about the latest improvements and how to get the upgrade to version 4.9.3.